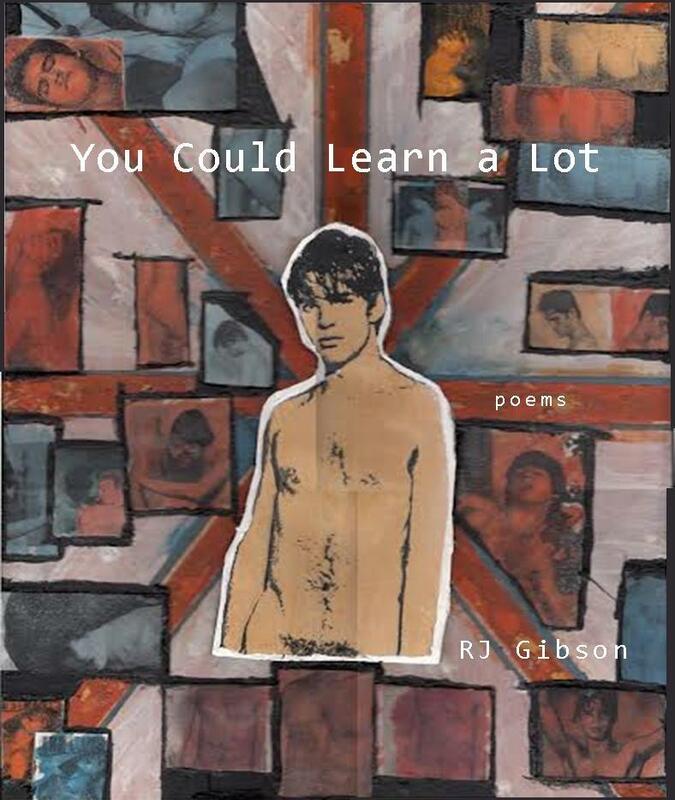 You Could Learn a Lot: Poems by RJ Gibson. Number 2.08 in the Seven Kitchens Press Editor’s Series. Cover art by the author. RJ Gibson holds an MFA in Poetry from the Program for Writers at Warren Wilson College. His writing has appeared in Court Green, Columbia Poetry Review, Kenyon Review Online, Waxwing, Cortland Review, Weave, Assaracus, and other journals and anthologies. He lives and works in West Virginia. He always hopes to run into John Waters when in Baltimore. I’ve been in the news a lot lately, maybe you saw. Not so much in the news as on. somewhere between stories on the election and the subprime fiasco. looking up at the tickers, the lights. I even took pictures with my camera to look more authentic. just behind the reporter’s right shoulder. I was only there to be seen during the nightly news. and there were these fairy lights in some trees. I was wearing my best wool coat and scarf. I thought I looked smart without trying too hard. soggy from the rain and cold. and they were in the Hamptons. of being small in this city and glad of it. Purchase You Could Learn a Lot here or send an e-mail query to sevenkitchens at yahoo dot com. Purchase RJ’s chapbook, Scavenge (winner of the Robin Becker Chapbook Prize) here.